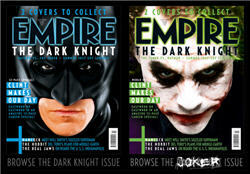 Empire Magazine has two new covers featuring Batman and The Joker. 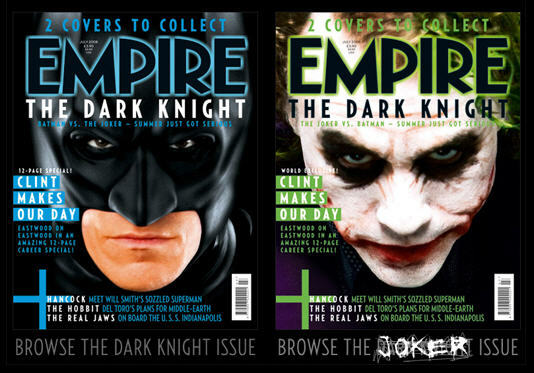 They’re the same issue, but the one with The Joker on the cover has been “Jokerized” (much like the Jokerized Dark Knight trailer). Check out the two covers below. You can see images of the inside pages at IESB.